The New Year represents a chance to wipe the slate clean and start fresh. 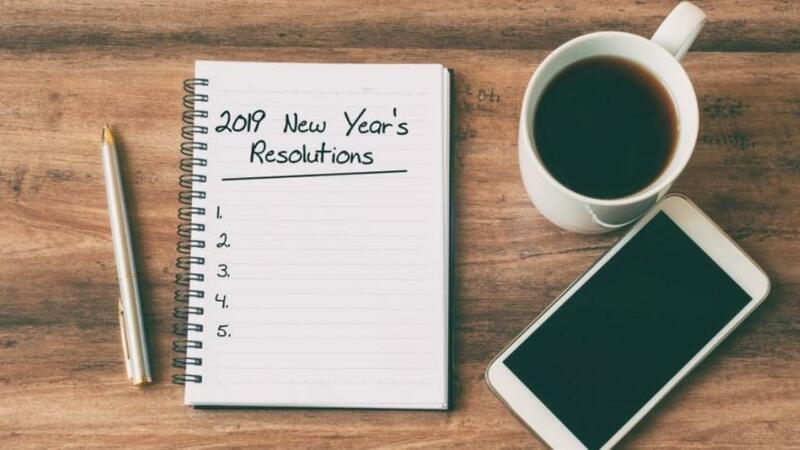 While many of us launch into New Year’s Resolutions with the best intentions, it’s not uncommon to feel your willpower waning by the middle of January. If you’re ready to make a huge change to your health and fitness in 2019, it’s time to stop the crash diets, ignoring the quick fixes and find a way to make physical activity an important part of your everyday life. They say it takes 66 days for a new behaviour to become a habit. However, sticking to a brand new diet and exercise routine for 66 days is no mean feat. Instead of completely overhauling your life, focus on making small changes to your daily routine. For example, if health and fitness is your ultimate goal, focus on drinking two litres of water every day. Or focus on replacing your usual calorie-laden snacks with healthy fruit. These small habits are easy to stick to in the short term, and will soon become healthy habits that you do as second nature. Rather than trying to tear down unhealthy habits and start completely fresh, focus on small changes that will have a big impact on your health in the long term. You can download a simple habit tracker app to keep yourself accountable. If you truly despise running on a treadmill, it isn’t likely that you’ll stick with it for longer than a week. It doesn’t matter how much willpower you have, eventually, you’re going to get bored. Worse still, you might start to associate exercise with boredom. If you want to create a healthier and more active life in 2019, you need to start by finding activities that you love to do. If you aren’t having fun, you aren’t very likely to keep it up. Boxing workouts are both physically demanding and a whole lot of fun, so you can trick your body into a workout, even when you’re not feeling your best. Variety is the spice of life, so make sure you mix things up and keep things interesting by blending cardio with low impact workouts like yoga. Going out and buying new fitness gear might seem like an expensive waste of time, but it can actually help set you up for success. Studies have shown that just putting on workout gear can put you in the mood for exercise. Think of workout gear as a costume, and when you put it on, you get into character. New fitness gear not only helps you to get in the right mindset, but it can also help to prevent injury. While your oversized sweats and an old pair of trainers might be fine for exercising in the short-term, if you are serious about getting in shape, invest in something that makes you feel good. A good pair of trainers can help to prevent injuries while proper sports clothes can help to improve your performance. If you’re starting a new fitness routine, it’s easy to put up obstacles. When it’s still dark in the morning, the thought of dragging yourself out of bed to exercise might seem like torture, so you need to find a way to knock down the obstacles one by one. If you are determined, you can find a solution to any problem the stubborn side of your brain can throw out there. For example, if you struggle to find the time to exercise, try to get it done first thing in the morning. Lay out your workout clothes the night before and then get out of bed half an hour earlier. Once you’re done, you’ll feel energised for the day and will be less likely to fall into an unhealthy eating trap during the day. Another common problem that people face when trying to eat healthier is finding the time to cook every evening. If you get home late and find yourself reaching for the comfort of a takeaway, try meal prepping on a Sunday night. You can portion out your food for the week and enjoy nutritious meals without the guilt. If you want to get healthy and transform your life in 2019, you need to look for ways to make small, lasting changes to your everyday habits. Over time, these habits will have a huge impact on your health and wellbeing.